I think that Fridays is going to be a mish mash of random thoughts that events. I am still keeping with the year of jewelry for the most part but I wasn't able to show it off because of design team issues or that it was made for a hop. So instead, I will try to show off a piece of jewelry that isn't committed elsewhere and do a little snapshot of my life in the past week or so. I haven't had a lot of time to escape to my studio in the past week. 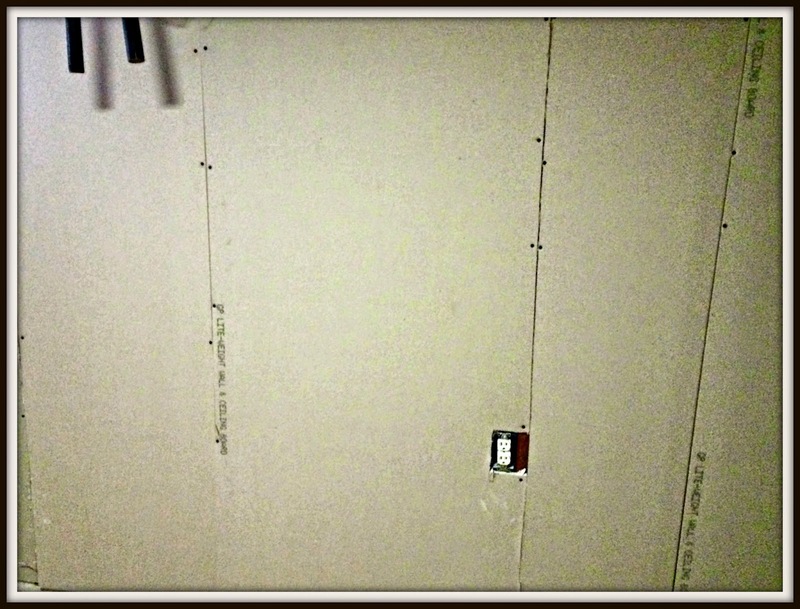 Last weekend was taken up by finishing putting up sheet rock in the basement. I was rather surprised that I actually enjoyed working on the house. Sign of things to come perhaps. My vacation is coming up the first week in July. We normally try to do a few day trips during the time however since we really don't have the money, I am planning on painting the bedroom instead. I want it a mossy, earthy green. Now just to find the right paint color. I wonder if I could just bring in a jasper in the color I want. Yesterday is my day off that I usually can get down to my studio but it was pretty much spent on medical issues. I had my massage which was a great way to start off the day but the rest of the day was spent with doctors, mind and Sajes. I had a shock yesterday with my blood pressure. I have always been one with such low blood pressure that if I turned too quickly, I could get dizzy. Now all of a sudden it was up at 140. Not sure why though it might be stress. Doctor put me on some anti-stress meds to see if that works,. Personally I think it's because I haven't been able to create since the weekend before last. Speaking of creations, I made this bracelet the last time I was able to play. 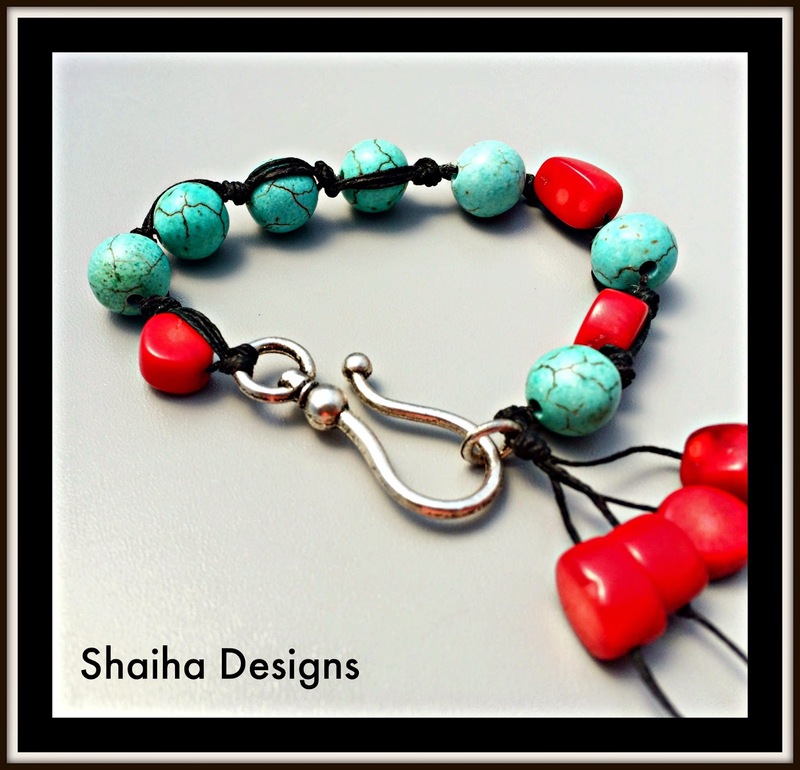 It's knotted with waxed linen using turquoise magnesite and coral. A casual bracelet perfect for jeans. I am selling it for $34.99. Speaking of designs, I have visions of pearls running around my mind. Now just to figure out what is possible and what I have time for. I have the prettiest faceted pearls that I am trying to figure out what to do with. They are on small side so if I knot them up, it will pretty much have to be on silk. Not a bad thing but I am trying to get away from the norm with pearls. Any suggestions? After dealing with weather that was better suited to October,the sun have finally come back to join us. Thank the Goddess as we are planning our potluck at the park where we put on rituals for years. A good friend of mine has hooked me on a new game. Words of Wonder on Facebook is pretty addicting. Damn you Laura. Anyone else play this game? I have to work in the office today. I admit that I am spoiled because I am usually able to work from home but I do like to touch bases with everyone every couple weeks. I just wish that I didn't have to stay the whole day because it is so loud and bright. I almost always end up coming home with a migraine. Gorgeous pictures. I've not used faceted pearls myself but I have seen them interspersed with other beads for a very antique/vintage looking necklace. It was very elegant. Those blue ones are divine! I would put them with quartz crystal, some silver bits, or maybe some gold to compliment them.